This pendant measures approx. 13/16", but each one is made by hand and will vary slightly. 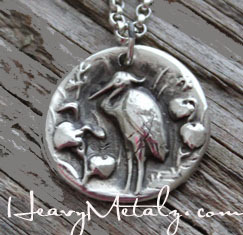 Made from .999 Fine silver (more pure than sterling silver) and hanging on a sterling silver chain.